Why do my harp strings keep breaking? There’s nothing more frustrating for a harpist than breaking a harp string just before a performance (or mid-way through!). All harp strings will eventually wear, become dull and at some point probably break. However, there are certain things which can shorten the lifespan of a harp string. If you find that you are breaking the same string quite often, there may be a few things which are worth looking at. 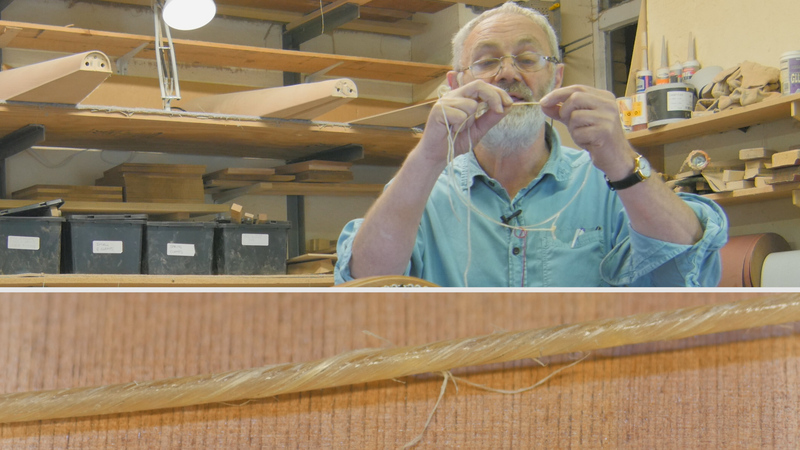 Click play on the video on the right to see Allan take you through some of the basic things to look out if you are suffering from regular string breakages. Alternatively you can follow the text and images below. 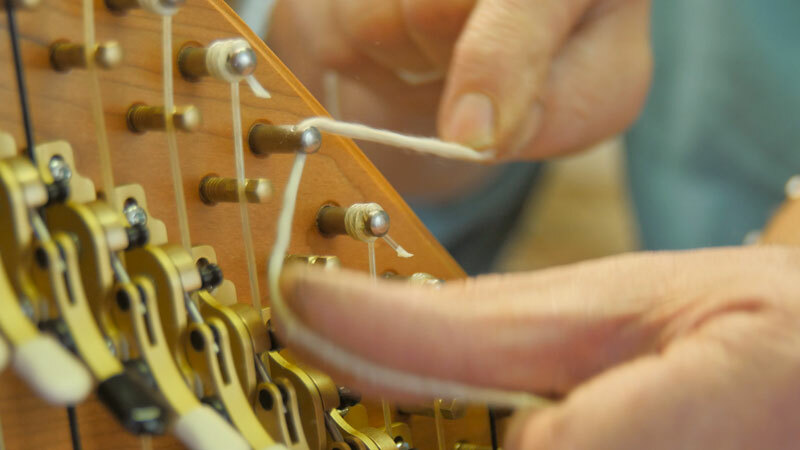 If you need a replacement harp string or advice on replacing strings you can check out our other harp help videos or get in touch here. The choice of string you use on your harp affects not only the sound, but also the longevity of the string. Gut strings, for example, are more susceptible to breaking than nylon or other synthetic strings. Gut strings are covered with a protective layer of varnish or a lacquer that is slowly worn away by use. Once that protective layer has gone, the string will probably not last much longer as it becomes more hydroscopic (sensitive to moisture and temperature change). A sure sign of this happening is when the fibres of the string starting to fray and peel off. Spotting this will mean that you may be able to pre-empt a string breaking and change it first (or at the very least make sure that you have a replacement ordered!). Temperature changes are a common cause of harp strings breaking. For example, strings will often break at night as the temperature drops and the string contracts increasing the tension in the string. Keeping the harp at an even temperature sometimes difficult when travelling and gigging with a harp, but you can give your harp a helping hand by trying to make sure that that the temperature remains constant when it is left for longer periods. Another common mistake is to leave a harp next to a place where there may be a through draft of cold air, so try to avoid leaving harps next to open doors and windows. 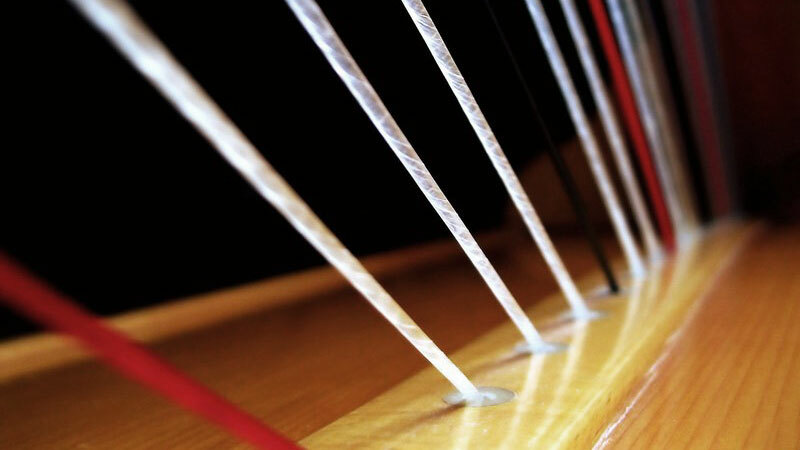 Another common cause of harp string breakages is slight roughness at the points where the string comes into contact with the body of the harp. If there are any places which are not smooth then these can cause friction on the string. The main points of contact between string and harp are: the tuning pin, the bridge pin, the semitone lever and finally the eyelet where the string passes through the sound board. If you suspect you have a rough or jagged surface on any of these, the best clue is spotting the point at which the string breaks. You can also sometimes see it by eye, or you can use your finger to feel where there may be an uneven surface. 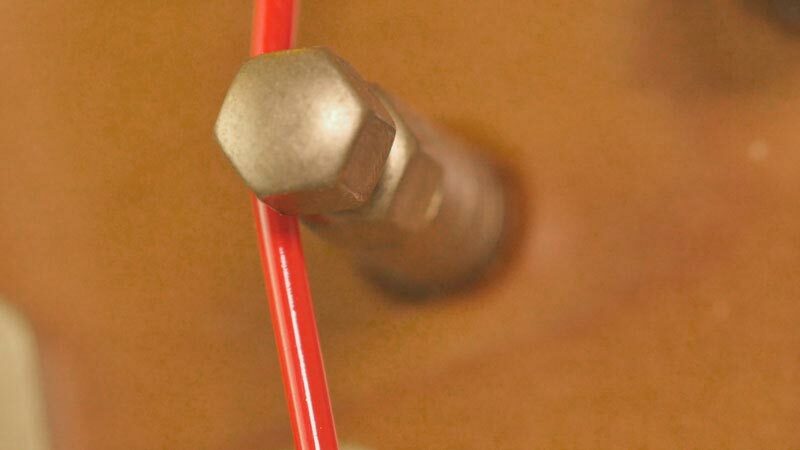 If you do discover that you have a rough tuning pin, bridge pin, eyelet or any other surface which you suspect may be causing wear on your harp strings, there is a simple trick which you can use to smooth off the surface. Take a piece of soft string and dip it in something mildy abrasive like Brasso. Pass the string through the pin or eyelet and rub back and forth. You should try to make sure that you follow the same direction of the string to make sure that you are rubbing the same place that the string does. This should help to polish out any sharp edges or burrs which may be there.